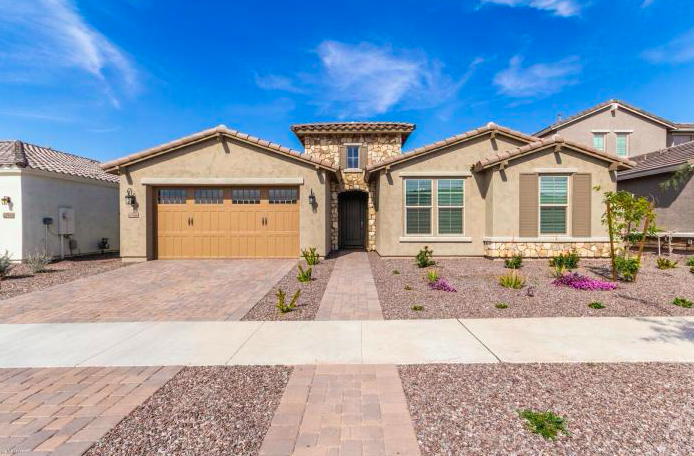 Home Mesa News This Home in Mesa is Elegant & Energy Efficient too! 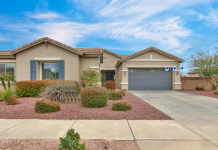 To view this house contact Karyn Nelsen, My Home Group Real Estate at 928-978-3246. Job transfer creates opportunity for you to own this better than new home in a top ten community. 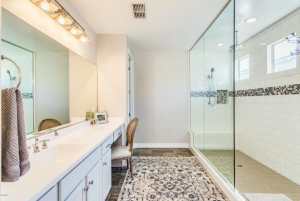 Owners did the best of the best upgrades to their dream home including; new highly effect. 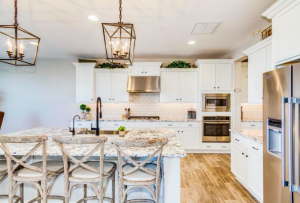 Trane HVAC XV18 system, wood plank tile flooring, gorgeous granite countertops, huge island, SS appliances w/double ovens & that ever popular subway tile complete this perfect kitchen. The master suite is your personal sanctuary comprised of a spacious walk-in shower, vanity desk area & walk-in closet. Step outside to your perfectly landscaped backyard complete with covered patio & sunken gas fire pit with ample room for seating & entertaining! Desert plantings & grass abound! Why build? This home is pristine. Don’t wait for a new build this one is ready now! Highly desired neighborhood! This home is “model” quality. New upgrades throughout. Upgraded double ovens and walk-in pantry. Two tone paint and coffered ceilings. Five inch baseboards throughout home. A brand new water softener and reverse osmosis system! An upgraded HVAC system and Trane XV18 comprise this highly efficient AC system with zoning! This home has it all!